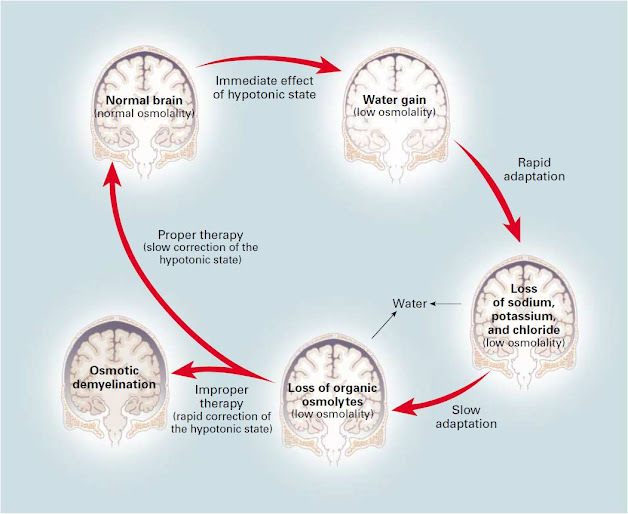 Clinical Signs of Hyponatrema: Nausea, vomiting, anorexia, muscle cramps, confusion, and lethargy, and culminate ultimately in seizures and coma. Seizures are quite likely at [Na+] of 113 mEq/L or less. Drugs: ADH, nicotine, sulfonylureas, morphine, barbiturates, NSAIDs, acetaminophen, carbamazepine, phenothiazines, tricyclic antidepressants, colchicine, clofibrate, cyclophosphamide, isoproterenol, tolbutamide, vincristine, MAOI. 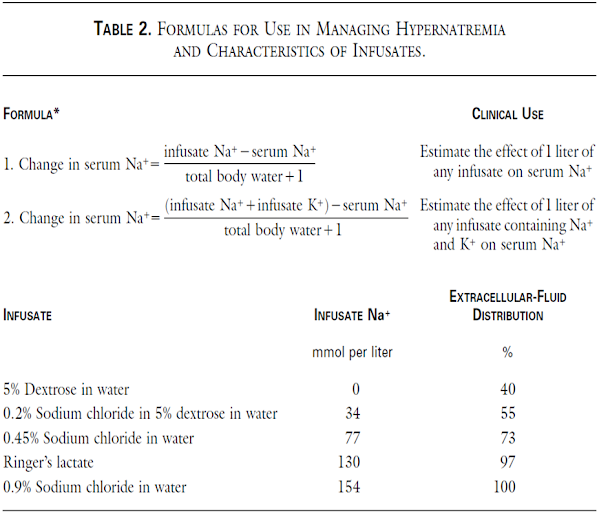 In the ED, there is generally little urgency to address the hyponatremia immediately when [Na+] is 120 mEq/L. Urine electrolytes are useful only before beginning treatment and therefore should be collected in the ED.